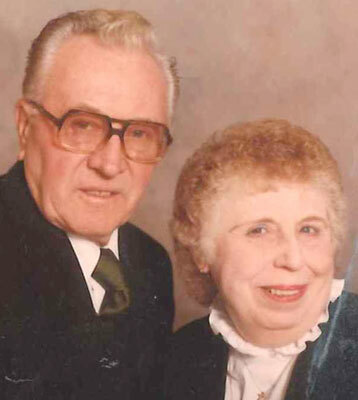 YOUNGSTOWN - Services will be held at 11 a.m. on Saturday, March 22, 2014, at the Lane Family Funeral Homes, Austintown Chapel for June L. Balint, 92, who died Wednesday evening at Briarfield Manor. June was born on June 16, 1921, in Youngstown, the daughter of the late David J. and Martha (Price) Williams. Mrs. Balint graduated from Chaney High school in January of 1940. She was employed at McKelveys Higbee Store for 41 years and was the department manager when the store closed in October of 1982. June was a member of St. Andrew’s Episcopal Church until it closed, as well as a member of Youngstown charter chapter, American Business Women for over 30 years where she was the secretary on the board of directors, McKelveys Credit Union where she was also on the board of directors and the 20 and 25 year club. She is survived by her nieces, Nancy (Jerry) Ventresco of Austintown, Patty (Dan) Strong of Boardman, Judie (Greg) Barsch of Westerville and Linda (Gene) Slaven of Berlin Center; nephew, Howard Crum of Boardman; great-nieces, Jennifer Rager, Sara Ventresco, Danielle Strong and Kailyn Barsch; great-nephews, Marty Strong, Drew, Ryan and Evan Slaven; and brother-in-laws, Howard Crum of Austintown, Martin Markovich of Austintown, and Bill Kruppa of Brookfield. She was preceded in death by her husband, Paul Balint, whom she married on Sept. 22, 1956, who died June 25, 2000; sisters, Louise Crum, Marilyn Markovich, and Betty Kruppa; and brother, William Williams. Friends may call Saturday from 9:30 until the time of services at 11 a.m. at the Lane Family Funeral Home’s, Austintown Chapel. Arrangements have been entrusted to The Lane Family Funeral Home’s, Austintown Chapel.